Your college wall decor can involve more than your college posters. You want your college dorm room to feel like a home away from home, and you want your dorm room decorations to be unique. You want to look forward to coming back to your college dorm room after a long day of college courses, after all. For a unique look in your college dorm room and makes your dorm room feel like a great place to hang out with your friends, add our Copper String Battery Lights. 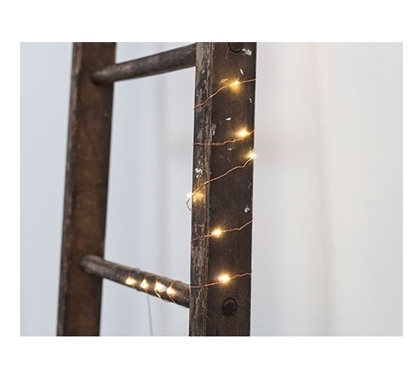 Our Copper String Battery Lights feature 20 miniature lights on 6 feet of flexible copper wire that allows you to create the look you want to. 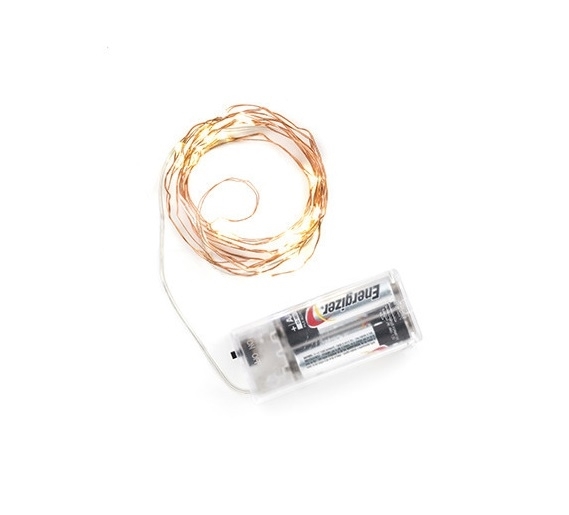 This dorm essentials item is also battery powered which allows you further versatility in how you decorate with our Copper String Battery Lights. With the battery pack, you aren't limited by the available outlet in your college dorm room (plus, you don't have to take up one of those valuable outlets with this dorm necessities item). Create a unique design or simply string these dorm supplies in a straight line or around your dorm desk for a high impact addition to your dorm room decor.